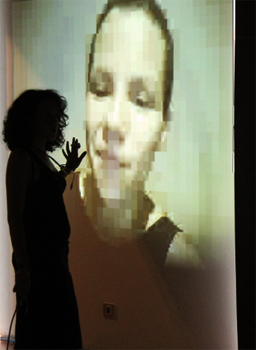 The performance is part of the ADA MACHINE project, in which a collective of artists discuss the presence of women in arts and in technology. 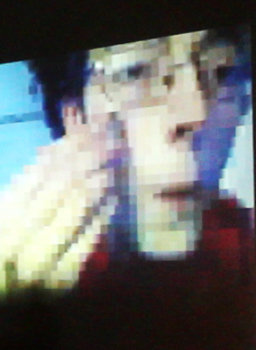 This was the result of this group first encounter in which the subject was presence X virtual presence. 4 actors in 4 different cities stream their videos through a custom software. The audience, in a 5th place (the action room) see their videos on a wall. The performers interact with each other and with the public, as the action room is streamed back to the actors. 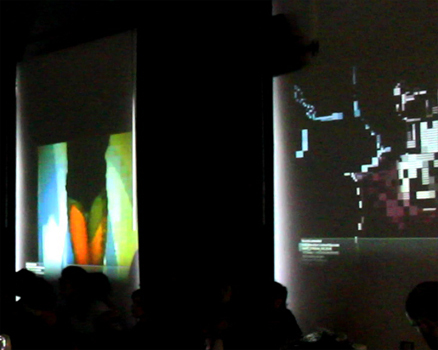 A VJ manipulates, transforms and controls the performers videos on the action room wall. It’s all live and online.